A new study from an international team of researchers, including the University of British Columbia, is pushing back the origins of the delicious sweet treat. 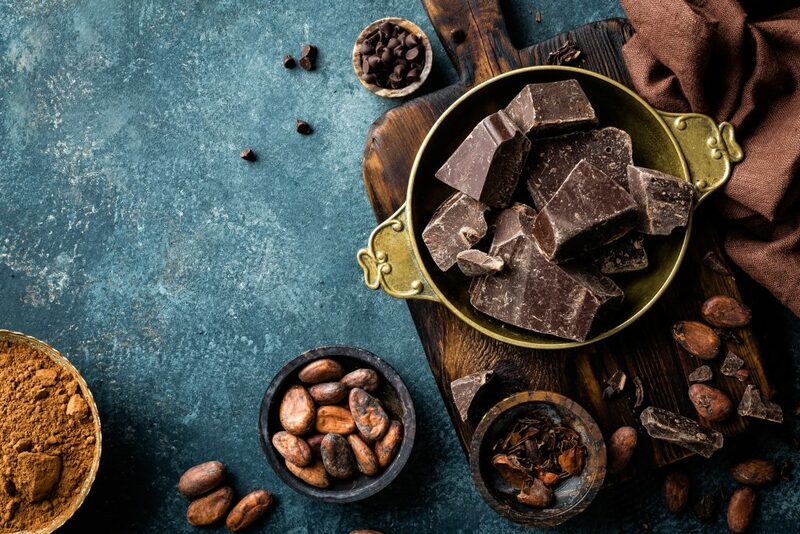 The study, published online in Nature Ecology & Evolution, suggests that cacao—the plant from which chocolate is made—was domesticated, or grown by people for food, around 1,500 years earlier than previously thought. In addition, the researchers found cacao was originally domesticated in South America, rather than in Central America. Archaeological evidence of cacao’s use, dating back to 3,900 years ago, previously planted the idea that the cacao tree was first domesticated in Central America. But genetic evidence showing that the highest diversity of the cacao tree and related species is actually found in equatorial South America–where cacao is important to contemporary Indigenous groups–led the UBC team and their colleagues to search for evidence of the plant at an archaeological site in the region. Theobroma cacao, known as the cacao tree, was a culturally important crop in pre-Columbian Mesoamerica—a historical region and cultural area in North America that extends from approximately central Mexico through Belize, Guatemala, El Salvador, Honduras, Nicaragua, and northern Costa Rica. Cacao beans were used both as currency and to make the chocolate drinks consumed during feasts and rituals. For the study, researchers studied ceramic artifacts from Santa Ana-La Florida, in Ecuador, the earliest known site of Mayo-Chinchipe culture, which was occupied from at least 5,450 years ago. The researchers used three lines of evidence to show that the Mayo-Chinchipe culture used cacao between 5,300 and 2,100 years ago: the presence of starch grains specific to the cacao tree inside ceramic vessels and broken pieces of pottery; residues of theobromine, a bitter alkaloid found in the cacao tree but not its wild relatives; and fragments of ancient DNA with sequences unique to the cacao tree. “Today we all rely, to one extent or another, on foods that were created by the Indigenous peoples of the Americas,” said Blake. “And one of the world’s favourites is chocolate.” Funded by a Hampton Research Grant from UBC, the study was co-authored by researchers at the University of California, Davis, the French Agricultural Research Centre for International Development (CIRAD), University Montpellier and Kennesaw State University. The research also involved researchers at HelixVenture, the Institut de Recherche pour le Développement and the French National Institute for Agricultural Research (INRA) in France, as well as New South Associates Inc. in Georgia, and the Instituto Nacional de Investigación Agropecuaria Estación Experimental Tropical Pichilingue and the Ministerio de Cultura y Patrimonio in Ecuador.